Drew Butera (left) will (unless injury intervenes) open the season as the Twins' backup catcher. Wilson Ramos will marinate in Triple A. Which isn't necessarily a bad thing. Ramos hasn't played Triple A ball; what with injuries, he's had just abut a half season at Double A. He can become a top-flight catcher, but that's less likely to happen sitting five or six days a week in the majors than playing regularly in Rochester. Ah, but the Twins already have a top-flight catcher, and that's putting it mildly. If Ramos hits .330 with 30 homers in Triple A, he's still not taking the catching job from Joe Mauer. Those are all discussions that I'm going to have with the general manager, but we just signed a catcher to eight years. You know what I'm saying? (Ramos is) going to get his games, not a lot of them, but he would give me more of an ability to play him than most other backup catchers. I wouldn't be afraid to give Joe more days off, let's put it that way, because of this kid. Him and Butera, they're both really good catch-and-throw guys. One can hit a ball over the center-field wall. Francisco Liriano hadn't gone more than four innings in any spring training outing. This afternoon he went six — six innings, three hits, three walks, eight strikeouts, zero runs. Another good sign for him as a member of the rotation vs. closing. The Tigers on Tuesday traded Nate Robertson to Florida for a minor league pitcher. 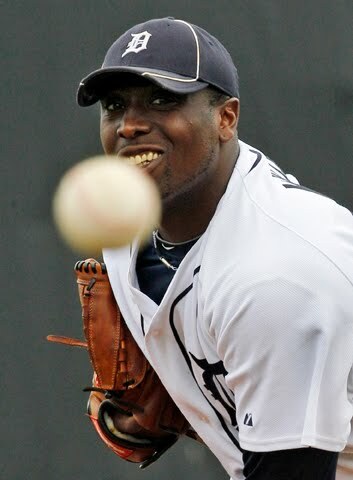 This probably means that both Jeremy Bonderman and Dontrelle Willis will open the season in Detroit's rotation. I taped this morning a segment with Pete Steiner for KTOE radio's "Talk of the Town" program. Pete said it will air at 1 p.m. Thursday. I've long said my face was made for radio and my voice for newspapers. Now we'll have evidence of the latter. Mark Dolenc, the former MSU player who has been making random appearances in the Twins exhibition games the past few days, started Monday in a game televised by ESPN. He went 0-for-4. I have my doubts that was the plan. Denard Span was reportedly to start in center field, but it was raining in Jupiter and they switched him to DH with Dolnec playing center. Which makes sense. 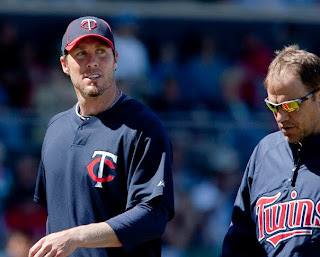 The Twins may not be thrilled with their options to fill Joe Nathan's slot, but they're even thinner for center fielders. Joel Zumaya, the oft-injured flamethrowing reliever for Detroit, pitched on back-to-back days Sunday and Monday without immediately reporting for further surgery. Fausto Carmona — star in 2007, bum since — is impressing people in Cleveland's camp. This is a guy who has walked more men than he's struck out over the past two seasons, but he's apparently getting strikes with his sinker again. Mike Redmond is slated to be Carmona's personal catcher this year. Just speculating: Might this decision be based on the notion that some of the Minnesota strike-throwing magic can be transferred to Carmona through the ex-Twins catcher? Former Twins shortstop Cristian Guzman has been bounced as the starter in Washington in favor of rookie Ian Desmond. Ron Gardenhire's endorsement of a closer-by-committee approach to the bullpen is about as irresolute as it can be. It'll be a committee, unless they make a trade. Or unless they can talk Francisco Liriano into something resembling enthusiasm for the job. Supposedly some of his teammates are working on him. LaVelle Neal thinks the mix-n-match approach is a mistake. I think it's the most logical tactic — but they need another reliable lefty in the mix, and it shouldn't be Brian Duensing, who (under a Liriano starts scenario) is Plan B for the starting rotation. Duensing should be in Triple A getting starts and being stretched out when the need arises for a starter. Neal and I took different lessons from the bullpen problems of 2008. He says they went with setup-by-committee, and it didn't work. Jesse Crain, back on the mound after missing most of 2007 with major shoulder surgery, could take only a limited workload. Matt Guerrier was overworked and blew up repeatedly in the final months. Dennys Reyes was limited to a LOOGY role. and Gardenhire refused to use Craig Breslow in game situations. The committee failed because there weren't enough members. It was three guys —Guerrier, Crain and Reyes — one of whom they didn't want to use on consecutive days and another who they didn't trust against right-handed hitters. This staff is different. Jose Mijares has the Reyes role, and is talented enough to do more than that. Guerrier and Crain are sound again, and Neshek may be. Plus there's Jon Rauch. If Ron Mahay can be ready soon, there are enough capable bodies to have a quorum. And all that said, it probably doesn't matter. The Twins will either trade for somebody (and overpay in the process), try to force Liriano into the role (a riskier move than the committee would be) or effectively declare one of the committee members the chairman — and de facto closer. The Monday print column is about Francisco Liriano and the continuing question: Should he be a starter or a reliever? 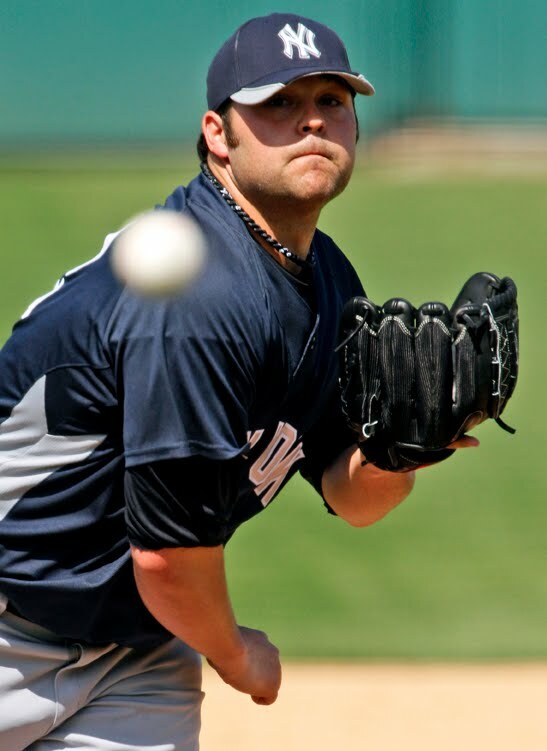 A similar long-running dispute exists with the New York Yankees and Joba Chamberlain (left). Should he be a starter or a reliever? As with Liriano, Chamberlain has a history of arm issues. Injuries caused him to drop into the supplemental round of the 2006 draft. The Yankees have bounced him between bullpen work and the rotation and limited his innings as a starter in an explicit effort to protect his arm. The Yankees had one rotation slot open this spring; Phil Hughes is emerging with that job. Chamberlain is back in the bullpen, and while general manager Brian Cashman says Chamberlain is a starter without a starting job, there are others in the organization who say Chamberlain should be a relief pitcher, period. Chamberlain not only has bullpen experience, he has better MLB numbers as a reliever than as a starter. Some of it, oddly enough, comes from the same people who rip Dusty Baker for savaging young starters. And we've seen this before with Liriano; in 2006, there were voices complaining that the Twins should have opened the season with Liriano in the rotation. The man pitched 120 innings and blew out his elbow. Starting him in April wasn't going to keep him healthy either. There's no obvious answer to the conundrum. A pitcher is only useful if he pitches; and if he pitches too much, he's likely to get hurt, and then he won't be useful. Last week's poll was about the battle for the final roster spot. We had 46 votes. Twenty-one (45 percent) picked Alexi Casilla; 18 (39 percent) Jacque Jones; 7 (15 percent) Matt Tolbert. The "battle" for the 25th spot on the roster has been decided, barring a last-week injury or trade. Alexi Casilla (left) stays. Matt Tolbert has been optioned to Triple A, and Jacque Jones has been told that he's going to be assigned to Triple A as well, but gets to make the trip north for the exhibition games next weekend at Target Field. The decisive aspect, as suggested here last week, appears to be roster status. Casilla is out of options and would have to clear waivers to be sent down, and the organization didn't dare risk losing his .259 slugging percentage. (Note: that last clause was sarcasm.) Tolbert has options left, and Jones— who had the best spring of the three, for as little as that's worth — isn't even on the 40 man roster. This is in keeping with recent tradition of carrying a player who has no real purpose. Assuming — risky business — that Dan Gladden's broadcasting accurately reflects the thinking of Ron Gardenhire and Co., the Casilla-in-the-outfield trials this spring were found wanting. Which means the alternative center fielder is Michael Cuddyer, and playing him in CF means moving him from right and putting the regular DH, Jason Kubel, in right. This presents problems as an in-game move — if Denard Span sprains an ankle in the third inning, do you really want to go without the DH the rest of the way? — and problems defensively, as an outfield of Delmon Young, Cuddyer and Kubel might be as slow as any you've ever seen. The only real decision pending on position players now is the backup catcher. Drew Butera is deemed the favorite for the job, although I'm rooting for Wilson Ramos to get it. 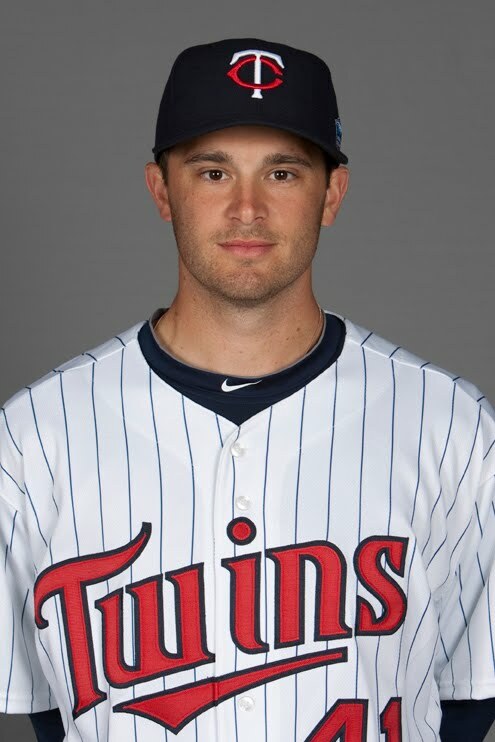 Mark Dolenc, the former MSU Maverick pitcher-outfielder now in the Twins system, got another line in a spring training box score Saturday, pinch running for Jason Kubel and scoring a run in the eighth inning, then finishing the game in right field. Not exactly prime time, but better than being ignored. The biggest issue with the Tigers appears to be in the starting rotation. Justin Verlander is not an issue. He's a stud. Rick Porcello comes with two red flags. One, he's very young (turned 21 in December); two, he had a very low strikeout rate last season. These are both precursors to injury and/or failure. The conventional wisdom holds that Porcello is different. I have my doubts that he's sufficiently unique to defeat history, as Bob Feller and Bert Blyleven did, and achieve the greatness projected for him. But ... Jim Leyland has walked this tightrope before. Verlander isn't a perfect comp — he was three years older when he broke into the rotation, and he had a better K/9 — but he was handled in much the same fashion, and he has turned out OK.
Max Scherzer, the third starter, was part of the three-way deal that moved Curtis Granderson to the Yankees. Big arm, turns 25 in July, some question his durability. He may be another one Leyland has to baby. Or he might be great. But then come the problems — Jeremy Bonderman, Nate Robertson, Dontrelle Willis. 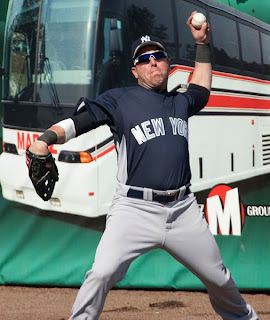 (Armando Gallaraga, who went 13-7 in 2008, has already been shipped back to the minors.) None of the three have been useful for at least two seasons. I can't imagine that the Tigers have much confidence in any. That Willis is even in the discussion is a surprise. His command this spring hasn't been impeccable, but it's been sufficient. The big news out of the White Sox training camp in the past week or so hasn't had anything to do with the players on the field. It's about social media. 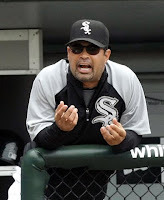 Ozzie Guillen famously started tweeting this spring, providing us with such insights as Love tucson great city great memories first town is a manager yesssss never forgat that and I want a corona polar presidente now please this trafic lord . Then his son Oney started tweeting. Oney worked for the White Sox as a video scout, but when he started bashing members of the organization in his tweets, the Sox got rid of him. Ozzie was caught betwix and between, but acknowledged that Oney had to go: "You cannot Tweet or talk bad about this team while you're getting paid by this organization. And he was getting paid by the White Sox. Now he's not getting paid by the White Sox." None of which figures to matter much on the field. Other than the noises made by various Guillens, it seems to have been a quiet camp. No major injuries. The strength of the team still figures to be its starting rotation — Mark Buehrle will start the opener again, but a healthy Jake Peavy is the real ace, and John Danks and Gavin Floyd give them good depth. The lineup ... well, I'm not impressed, but I keep remembering that the last time the Sox made such a conscious effort to move away from one-dimensional mashers was 2005, and they won the World Series that season. I think they're the biggest threat to the Twins this season. I think they finish second. A commenter on the Mahay post asks: Any thoughts on why the Twins seem unwilling to give Anthony Slama much of an opportunity to duplicate his AAA success? I see three "issues" with putting Slama (photo left) on the 25-man roster. Second, Slama's stuff isn't overwhelming. Baseball America's 2010 Prospect Handbook grades his fastball and slider as average pitches. A two-pitch pitcher with average stuff, uncertain control and limited experience in Triple A isn't knocking down the door. Third, he's more of what the Twins have: A right-handed short reliever — and moreover, one whose success appears to be based in part on an odd delivery, comparable to Pat Neshek. Like Neshek, he's vulnerable to left-handed hitters. So he's redundant. That said, he gets ground balls and strikeouts. (See the next item for more on those virtues.) He is, unlike most minor league relief pitchers, a bona fide prospect. I doubt he'll make the roster in April, unless there are more injuries in the 'pen, but he's got a real chance to come up later in the year, and especially in 2011. A commenter on the Guerrier-Guardado comparison post asks: How much do strikeouts really matter to a closer, particularly one who will always enter at the beginning of the ninth inning? Answer: A lot, because it matters to all pitchers. Keeping it simple: The three true outcomes for a pitcher are walks (bad), home runs (bad) and strikeouts (good). Over time, for almost any pitcher, the batting average on balls in play is going to be around .320. The more strikeouts, the fewer balls in play, hence the fewer hits. This is why power pitchers are a better bet than finesse pitchers, and why ground ball pitchers are better bets than fly ball pitchers. Power pitchers get strikeouts; finesse pitchers don't. Fly ball pitchers give up more home runs than ground ball pitchers. A ground ball pitcher who gets lots of strikeouts — Pedro Martinez in his prime — is ideal. The two things I want to know about any pitcher are his K/9 rate and his BB/K ratio. I call those the leading indicator stats; they tell us how his stuff plays against hitters and how well he commands it. Former MSU outfielder Mark Dolenc (left) was a one-day spring-training call up for the Twins on Wednesday and got a plate appearance subbing for Jason Kubel (he drew a walk). The way this works: The Twins had about 60 players in major league camp when it opened — the 40 on the major league roster and a host of non-roster invitees. Minor league camp opened a couple weeks later, and the Twins have been shipping some of their excess players to minor league camp of late. And now they're bringing guys over from the minor league camp for a day at a time; the guys who were in big-league came are ineligible for this. They get a uniform in the 90s with no name on the back, and they sub in late in the game. 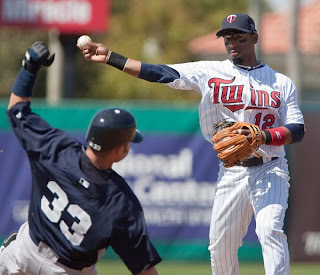 The Twins took Dolenc in the 15th round in 2006 and he's worked his way up a level at a time. He spent last season in High A ball, and Seth Stohs this week included him on his projected Double A roster. Dolenc has put up good stolen base numbers, displayed little power and has really poor walk/strikeout ratios. He looks like organizational filler at this point. 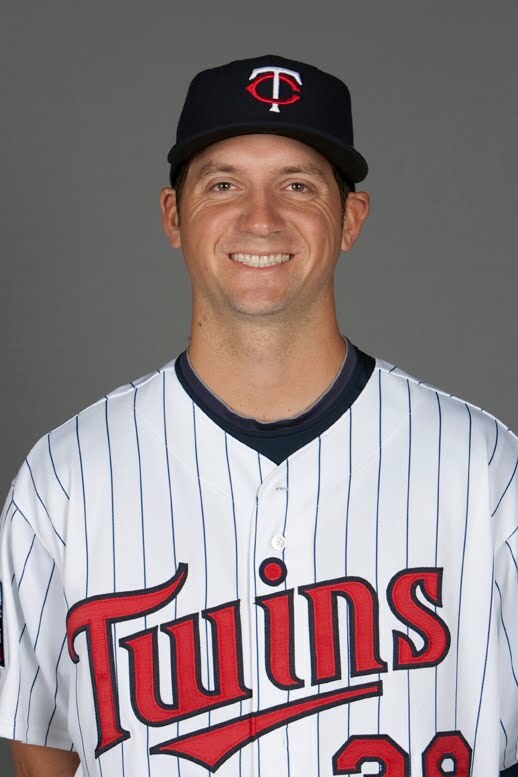 Quick note: The Twins re-signed Ron Mahay today. You may remember him as a LOOGY addition late last season. This is not particularly good news for Glen Perkins, Brian Duensing or Anthony Slama, who are currently duking it out for the final bullpen slot. Neither of the two southpaws (Perkins and Duensing) are notably tough on left-handed hitters, and Slama is another right-hander. If the Twins are going to open with a "bullpen by committee," they probably needed another lefty to use in matchups besides Mijares. Or if they expect to make Mijares the closer, then they need a LOOGY to fill that role in the seventh and eighth innings. If the stereotypical closer is Goose Gossage or Lee Smith — hulking flame thrower — the reality is somewhat different. There have been plenty of successful closers who thrived without intimidating velocity, including Eddie Guardado (right), who picked up 86 saves in his two seasons in the ninth-inning role with the Twins. Everyday Eddie got it done without a single dominant pitch. He worked with command and attitude. Which some think makes him a template for Matt Guerrier, who also lacks a dominant pitch but has the command and attitude part. One big problem with that comparison, however. Eddie G. missed bats. Matty G. does not. Look at the Baseball Reference link above for Guardado and you'll see excellent K/9 rates until his age 36 season, when his shoulder was giving way. As a setup man, he consistently whiffed more than a batter an inning; as a ninth-inning specialist, just a little under. Now look at Guerrier's. He doesn't match up. Last year he had the kind of strikeout rate Guardado had in his final season. It's a significant difference. Strikeouts matter for pitchers. Guardado was — I write of him in the past tense because it appears his career is over; you get released by the Nationals, you probably can't pitch for anybody — a better pitcher than Guerrier is. 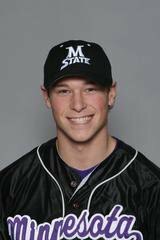 New Ulm native Jamie Hoffmann has been returned to the Los Angeles Dodgers by the New York Yankees. There are rumors that the Yanks still hope to work out a trade with the Dodgers to get Hoffmann as a minor leaguer, but their leverage, such as it was, is gone. He's not now a member of the Yankee organization. So much for my notion that he might be an option for the Twins once the Yankees realized he wasn't going to stick on their 25-man roster. 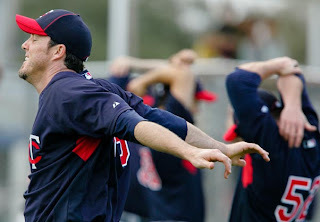 Incidentally, the photo MLB.com used in the above link is the same one that shows a left-handed throwing outfielder. I'm not the only one who got stung on that pic. A side note to Joe Mauer's contract extension is the fate of Wilson Ramos (right), one of the few Twins minor leaguers who combines top-level talent with near-MLB readiness. I commented on Ramos early on in this month's "Name that Twin" goofiness. I suggested at the time that — assuming Mauer was locked up — Ramos would be more valuable as a trading chip than as a backup catcher and specifically mentioned using him to acquire a Joe Nathan replacement. Seth Strohs disagrees. From his Sunday post on the Mauer contract: NO, they should not trade Wilson Ramos, at least not for something as insignificant as a relief pitcher like Heath Bell. I wouldn't call a Bell acquisition insignificant, especially since we know how wedded Ron Gardenhire is to the closer model of bullpen use. I would agree that Ramos figures to have more value over the course of his career than Bell will in what remains of his — but that assumes Ramos is going to play. There may be one of those recurring manager-front office disagreements going on in Twinsland. Gardy, seeking wins now, probably wants to open the season with Ramos as his reserve catcher; the player development people probably want Ramos to play regularly in Triple A. Assuming Mauer stays healthy — and we're all day to day — Ramos isn't ever going to be the Twins regular backstop. He'll grow old waiting for Mauer to grow old, just as Elston Howard did waiting for Yogi Berra. I still like the trade bait notion best. Barring that, there's little reason to put him in Triple A next month. It's more important to have a reserve catcher Gardenhire is willing to insert in Mauer's place with some frequency than to develop him for a No. 1 job that isn't going to happen here. A followup on my previous post's notion that Mauer is likely to overperform his new contract early and underperform it late: Here's a link to others with the same idea. At the start of training camp, I devoted the print column and about 15 posts to the question: How long can a premium catcher be expected to perform at a premium level? I concluded that Joe Mauer has six prime seasons ahead of him. His new contract — which takes effect with the 2011 season — means the Twins expect nine. This one and the eight for which he is to be paid $23 million apiece, taking him through his age 35 season. That is ancient for a superstar catcher. Mauer is a unique athlete with unprecedented achievements already on his resume. Expecting nine prime-time seasons out of him is expecting a lot. This is a risky contract for the Twins. There is no risk for Mauer. He is a catcher getting a historically large salary over a historically long time. It is defensible for the organization viewpoint in this regard: He has an established level, difficult as it is to swallow, that makes $23 million look like a bargain. Fangraphs' player valuation system puts his 2009 season as worth more than $36 million, his 2008 season at $26 million. You can take such estimates of value for whatever you think they're worth. If you accept them as accurate, then he may well overperform his deal in the front end by more than he underperforms it in the final years. It's lousy timing for me: I'm working the desk on a shorthanded shift. My column for Monday is on Ron Washington and his cocaine admission, and I've no time to rewrite it. So no grand comment here, at least not until sometime after midnight. Just happy happy joy joy. Joe Christensen has the details. No surprise, really. It just makes official what was widely expected. The organization has had a couple of weeks to contemplate the development. My guess is that they'll open the season with the pitchers they have on hand and see if they can run the bullpen effectively that way rather than trade for an "established" closer. The Twins have reportedly been scouting Heath Bell, who led the National League in saves last season for the Padres. If the Twins are looking to deal, he is the most likely target. The Twins opened Saturday's exhibition game against the Tampa Bay Rays with a bizarro outfield alignment: Ben Revere, a speedy center field prospect, in left; Michael Cuddyer, a rather plodding right fielder, in center; and veteran Jacque Jones in right. I guarantee this: Were it a game that counted, the outfield would have been Jones in left, Revere in center, Cuddyer in right. But if Cuddyer's going to open the season as the primary alternative in center field to Denard Span, he's got to get some innings there this spring. What's more meaningful is roster flexibility. Jones signed a minor league deal and agreed to report to Triple A Rochester if thus assigned; he'll be available later this season if needed. Tolbert has an option left, so the Twins can ship him to Rochester and recall him if needed. Casilla is out of options. He's use or (perhaps) lose. Of course, the demand for Casilla and his .259 2009 slugging percentage may not be very high. As matters stand, expect Casilla to open the season on the 25-man roster. 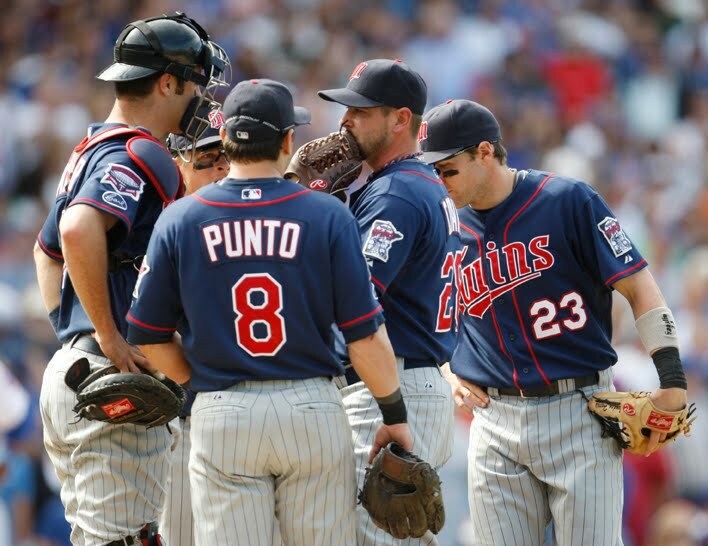 Last week's poll — Who will lead the 2010 Twins in saves — drew no consensus. There were 36 votes. Twelve (33 percent) picked Jon Rauch. Nine (35 percent) picked Pat Neshek. Matt Guerrier got six votes (16 percent), as did "none of the above." Two (5 percent) said it would be Francisco Liriano, and one (2 percent) holds out hope for Joe Nathan. 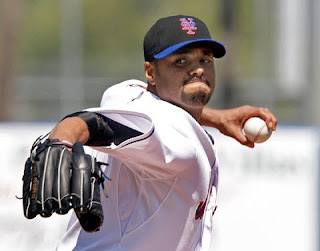 Johan Santana pitched Friday afternoon against the Twins, and their erstwhile ace had an outing best chalked up to spring training. He's working his changeup, and a couple of Minnesota prospects hit changeups out, and Ol' No. 57 gave up five runs in 3 1/3 innings. Santana pitching against the Twins, even in an exhibition game against a lineup largely bound for Rochester, N.Y., raises the question: If they had the whole thing to do over, would the Twins still trade the two-time Cy Young winner? The easy answer is no. The Twins got four players from the Mets in the deal; only Delois Guerra remains with the organization, and the young pitcher is not so highly regarded now as he was at the time. The Twins traded Carlos Gomez for J.J. Hardy, who figures to be Minnesota's shortstop for at least the next two years. They flipped Kevin Mulvey for Jon Rauch, who may wind up filling the closer's role this season. Guerra isn't a lost cause. If and maybes. 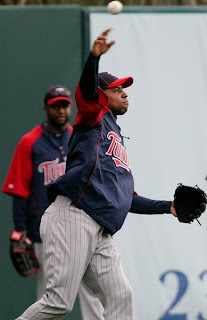 Santana had a variety of reasons for telling the Twins after 2007 that he wouldn't re-sign with Minnesota. One of them was his belief that the organization wasn't capable of accomplishing much more than winning divisional titles. Now he's with an organization that seems incapable of assembling a lineup. The Santana trade itself didn't do much to help the Twins. Its spinoffs might yet salvage it. Meanwhile, it certainly doesn't appear that the Mets are going to get where they expected to go with him. That's not Santana's fault — at least not as a pitcher. Alexi Casilla has been getting quite a bit of playing time at shortstop this spring. Part of that, no doubt, is that J.J. Hardy has been shelved with a leg strain. Somebody's got to play short when Hardy isn't. But even beyond that, Casilla's out of options, and if he's going to stick with the Twins as a reserve player they need to feel comfortable with him at multiple positions. He's seen significant playing time in the majors only at second. For that matter, if the Twins expect to trade him, other teams have to see him play other positions well. Jack Morris, doing radio on an exhibition broadcast this week, talked about how a closer has to be able to get a strikeout when he needs one. Truth of the matter is that pitching — starting, closing, set-up, mop-up, whatever the role — really boils down to three things: Avoiding walks, avoiding home runs, getting strikeouts. Those are the "three true outcomes." You do all three things well, you're a star. Do two of them well, and baseball will make you a rich man. Joe Nathan has been outstanding at all three. Nobody else in this bullpen has a track record of excellence in all three. "As long as they don't test for vodka and Corona I'm fine." Guillen said more than that, of course. But that was the amusing line. Question No. 1: Is a trade that never happened news? Question No. 2: Is a trade that was never even proposed news? Question No. 3: If the answers to 1 and 2 are "yes," and the item is widely misconstrued, did reporting it do any good? These questions are prompted by a couple of reports the past few days. The on that cranked up the biggest, and most meaningless, furor was a Buster Olney item that said the Phillies front office had had "internal discussions" about offering St. Louis a Ryan Howard for Albert Pujols trade. Not only did such a trade not happen, Olney doesn't even say that the Phillies broached the notion with the Cardinals. "Internal discussions" can mean (and probably does) that in a meeting aimed at plotting out budgets for future years — essential when doing long-term contracts — someday eyed the number assigned to Ryan Howard and said: Geez, for that money we ought to have Pujols. Followed by a brief discussion of how much Pujols would cost, followed by a "not gonna happen," and on to figuring out if they can afford both Doc Halladay and Cole Hamels in 2012. Well, unless Tony LaRussa is sitting in on the Phillies front office meetings, he doesn't know what he's talking about. And if he is sitting in on those meetings, there's a bigger problem. Then there's the New York Post item — in the context of how little faith the Yankees have in Brett Gardner — that the Yankees tried to trade for Denard Span last summer. Well sure. The Yankees figured they needed a center fielder and leadoff hitter; they weren't going to hitch their wagon to Johnny Damon long term; so they made an offer for Span. The Twins turned them down; the Yankees ultimately made a trade with Detroit for Curtis Granderson. The Post writer says he thought a Span for Phil Hughes trade was possible this spring. That's his thought, and now even he has tossed the notion aside. Still, this item triggered e-mail messages and blog comments to me that took this way too seriously. First, let's clean up the fifth Name that Twin: It's Toby Gardenhire, the manager's son. Toby was a late addition to the non-roster invitee list; he was included, it appears, because Jose Morales had his late wrist surgery and that meant they needed another catcher to share the strain of the bullpen sessions. Same thing as last spring, when it was Joe Mauer on the shelf. Young Gardy is an infielder who has made his way to Double A despite not hitting well at any level. Last spring the word was that he was adding catching to his resume in hopes of parlaying that added versatility into a rise to prospect status and (ultimately) a major-league utility job. So I figured he probably caught a couple dozen times in the minors last season. Nope. Two games. And since he's had just one putout (catchers are credited with the putout on strikeouts), it's a good guess he didn't start either game. He got his first at-bat of the Grapefruit League "season" on Monday. It should be his last. I had been musing about the notion of Glen Perkins (above) as closer. I'll set that idea aside after Sunday's fiasco, in which he yielded four runs, three earned, in one sloppy inning. He hit a batter, walked a batter, and (according to the radio boys) got hit in the back by the first baseman's throw while "covering" first. I'm not sure how you pull that one off. The incumbent closer isn't conceding yet that the Twins need an alternative. Joe Nathan plans to try to air it out Saturday. After which I expect he'll amble off to a surgical room in Birmingham, Ala., and the Twins will get on with the search for a ninth-inning guy. ... it seems to me that the guy has managed the Twins to five division titles in his eight years, or, to put it another way, THE GUY HAS MANAGED THE TWINS TO FIVE DIVISION TITLES IN HIS EIGHT YEARS. I mean, sure, you would expect a good manager to manage the Twins to at least six division titles in eight years, but, doesn’t he get SOME credit for this? He’s done this even though the Twins have never in those years had a payroll in baseball’s top half. Which prompts me to provide this link to a December post: "The Ron Gardenhire Project" . There may be one or two readers who weren't around at the time, and I (perhaps immodestly) am fairly pleased with the thing. To read the reports earlier this spring, the big hang-up for him is deportment. He has a bit of a reputation as a crybaby/irritant, and Terry Ryan, former GM and now a big-dog advisor, urged him to be seen and not heard during training camp. Not to dismiss the value of interpersonal interplay, but I'm more concerned about the way his walk rate disappeared when he moved up to Triple A last season. Double A: 31 walks in 252 plate appearances. A "walk percentage," if you will, of .123. Triple A: Eight walks in 282 plate appearances, walk percentage of .028. He needs to regain control of the strike zone at least as much as he needs to play well with others. Even after the news that Joe Nathan may be lost for the season, the readers appear to prefer having Francisco Liriano in the rotation as opposed to the bullpen. The poll had 55 votes. Forty-two (75 percent) picked Liriano for the vacant rotation spot. Brian Duensing got seven votes (12%), Anthony Swarzak four (7 percent), Glen Perkins 3 (5 percent), and Jeff Manship was skunked. I wouldn't be stunned if Liriano wound up in the 'pen and groomed early for the ninth inning job. I can argue either side of that proposition with equal passion. If Liriano can make 30-plus starts and 200-plus innings, he's more valuable starting than closing, but he's never made it even close to 200 innings on any level. The new mystery Twin is to the right. But of more immediate interest: He suffered a partial tear of his UCL in 2008 and has not undergone Tommy John surgery. He's rehabbed and pitched with it — which is what Joe Nathan hopes to do with his injury. As I understand it — and any reader who knows more about orthopedics than I do is more than welcome to chime in — this is an option if the damage is close to the muscle, where the ligament is thicker and stronger. That was the case with Van Mil. Pat Neshek, on the other hand, had his tear close to the bone. His attempt to rehab failed. I have not seen any published information on where Nathan's tear is. To me, the fact that he's seeking second and third opinions hints that rehab is a realistic option. Or perhaps it's an act of desperation; Nathan is already at an advanced age for a pitcher, and recovering from ligament replacement surgery is not a hasty process. Getting back to Van Mil: He's raw, he's barely pitched above A ball, and he's no real threat to make the major league roster in 2010, maybe not even 2011. A lot of talent — he's said to have a mid-90s fastball — but not a lot of innings, and coming out of Europe, he was notably inexperienced as an amateur. A real work in progress. It's a five-year deal with a team option for the sixth. Joe Christensen has the details here. As with the Nick Blackburn contract, the Twins are basically buying out his arbitration years. I think Span might be free-agent eligible for the option season. There's a line of thought that says: The player is under team control during the arbitration years anyway, so why assume the risk of guaranteeing the money? The answer is cost certainty – which matters because of (you guessed it) the looming expense of the Joe Mauer contract extension. The Twins appear to be lining up exact costs for their core for the next five seasons. Scott Baker, Blackburn, Justin Morneau, now Span. Michael Cuddyer is signed through 2011; the Twins picked up his option for 2011 during the winter. A few other guys might be trickier. Jason Kubel signed a two-year deal last winter; he might still be arbitration-eligible after this season. Putting a value on Kevin Slowey and Francisco Liriano after their injuries doesn't figure to be easy. The third mystery Twin of this series is at left. Mystery Twin No. 2, as Nick Nelson correctly surmised, was Ben Revere, the rather controversial first-rounder from the 2007 draft. "He reminds me of a few other guys that have come through that center field area out there, with big smiles on their faces and very confident that they can really hit and (are) not afraid of anything." Double A to start the season — but if some disabling injury should happen to Denard Span in midseason, Revere may well get the call. Revere is a small outfielder — listed at 5-foot-9 and 160-some pounds, which may be generous. Of the five scouting tools, he's got three, at least two of them in abundance. He can run — his foot speed is said to be comparable to Carlos Gomez. He can hit — his lowest batting average on three levels of the minors is .311. He can field. Throwing and hitting for power — those are issues. Particularly the power. He had just 19 extra base hits last season (high A ball) in 517 at-bats. His isolated power — slugging percentage minus batting averages — was a mere .058. Fort Myers is a notably difficult place to hit for power, but that's not a good number. The throwing arm is less of a concern. Johnny Damon and Mickey Rivers were/are notoriously weak throwers, and that didn't stop them from being quality center fielders on quality teams. I'm coming to the opinion that it might be better to have a weak arm and know it than to have a cannon and constantly try to prove it. Damon knows he's not throwing anybody out, so he hits the cutoff man and keeps the double play in order. Delmon Young repeatedly tries to throw out lead runners and surrenders bases to trail runners. It's too soon to tell if Revere is a future star, regular or reserve. He does enough things well enough that he's going to play in the majors. Ramos does pretty much everything well except run, draw walks and stay in the lineup. He had two injuries last season — a broken finger and a hamstring — and had just a bit more than 200 at-bats. In winter ball (in his native Venezuela) Ramos hit .332/.397/.582 and led the league in RBIs and total bases, was second in slugging percentage and third in home runs. Baseball America named him Winter Player of the Year. Hard to argue with it. All roads these days lead back to Joe Mauer and Joe Nathan. Should Mauer and the Twins part company, Ramos figures to be the Twins next catcher. If Mauer stays, Ramos figures to be more valuable as a trading chip than as a backup. The notion of dealing Mauer for a closer is preposterous. The notion of dealing Ramos for a young gun — for example, Daniel Bard of the Red Sox — to take Nathan's place is not. But first they have to cement Mauer into place. The Associated Press this week supplied us with mug shots of pretty much everybody in the Twins training camp — 40-man roster, manager, coaches, non-roster guys. I spent some time this morning downloading, re-sizing in a Web-friendly format and organizing them, on the basis that if the Twins call up Anthony Slama, it will be handy to have an image to post with an explanation of what the hay he's doing here. There are a lot of faces in that pile you haven't seen. There are faces in that pile you'll never see. Camp is loaded with extra catchers, because somebody's got to catch all those bullpen sessions, and the Twins aren't about to beat Joe Mauer's knees into submission in March. So to get some use out of today's work, I herewith begin the "Name that Twin" contest. Each day I'll post the mug of an obscure player (or coach), and y'all can guess his identity in the comments. I'll name him the next day and post the next one. I'll do this until either (a) I get tired of doing it, (b) I run out of faces I don't recognize or (c) it becomes obvious that nobody else cares. Winner gets free access to Baseball Outsider. Second place gets 50 percent off. 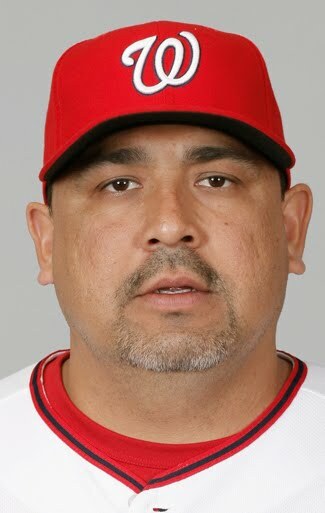 * The Washington Nationals today released old fave Eddie Guardado. I have to admit, for just a moment the notion of Everyday Eddie succeeding his successor as Twins closer crossed my mind. But that train left the station long ago. * Jim Souhan is rapidly approaching Sid Hartman status — as in, any time spent reading him is lost forever. I'm not going to link to Souhan's latest moronity, but I will say I wish he'd been in one of my fantasy leagues over the years. Trade Mauer for a relief pitcher! * A commenter on the Jamie Hoffmann post below points out that the player in the photo throws with his left arm, and Hoffmann is right-handed. D-oh! I should have noticed that myself. AP identified the player in the image as Hoffmann, and I went with it. I have no idea who is shown, and I have trashed the image from my library. My apologies. Having now had almost 24 hours to digest the unappetizing news that Joe Nathan's elbow is shredded, I'm increasingly inclined to argue for bullpen-by-committee. Not that it's going to happen. Everybody in the crew that had had been slated to set up Nathan does something well. Nobody is overpowering. Jose Mijares struggled against right-handers last season (.283 BA allowed) and wiped up lefties (.155). Things started to slip away from him late in the season, especially after the Delmon Young incident. Between the platoon split and the continuing questions about his composure — and the fact that he's currently the only southpaw in the bullpen mix — he's not going to get the ninth inning job. 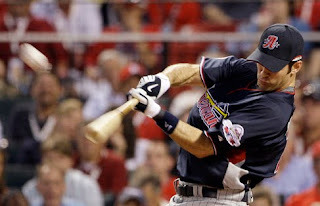 He's best leveraged for the key at-bats involving opposing left-handed bats — Grady Sizemore, Johnny Damon and the like. Matt Guerrier and Jon Rauch aren't similar physically, but they are as pitchers — 31-year-old right-handers with mediocre fastballs and career ERAs in the mid 3s in a bit more than 400 innings. Both have been typecast as middle relievers. Newcomer Clay Condrey is basically Guerrier and Rauch reprised, only older and less experienced (which suggests less talented). It's possible that, put into the enter-with-nobody-on role that is typical of today's closers, that either Guerrier or Rauch would thrive, as Ryan Franklin and Eddie Guardado did. It's more likely that either would be a subpar closer. Jesse Crain has "closer stuff" — meaning a mid-90s fastball — but his pattern of inconsistency probably rules him out. He hasn't had an ERA below 3 since 2005. Pat Neshek's bizarre delivery makes him a strong counterpoint to Mijares as a righty specialist. He's been vulnerable to the long ball against lefties, and, of course, he's coming off his own elbow problems. If these were Strat-O-Matic cards, I'd play mix-and-match. That was once commonplace, but it's out of favor now. Workload. Relievers in the mix-and-match era frequently worked 100-inning seasons, and burned out fast. They also warmed up without entering the game more frequently. Simplicity. With a rigid ninth-inning guy, the strategy is worked out in advance, and managers can focus their mix-and-match needs in the seventh and eighth innings. Convention. The players don't question the ninth-inning specialist approach, and no matter what the manager does, the players have to buy into it for it to work. Also, the press buys into the closer myth. If the closer fails, he fails. A bullpen-by-committee is an invitation to second-guessing and criticism. If it fails, the manager blew it. *Nobody available to the Twins — in house or via trade — is capable of doing what Nathan did as well as he did it. *Financially, the Twins are at or even a little above their self-imposed payroll maximum. Nathan's $11.5 million is guaranteed. I don't know to what extent he's insured; the general rule these days is that a body part that has already had surgery is uninsurable. Nathan had shoulder surgery while with the Giants; I don't know if he's ever had his elbow cut on. If he's insured, the Twins may have some payroll flexibility. * I do not expect Gardenhire to go with a committee and use Jon Rauch to close one game, Mijares the next and Pat Neshek the one after that. Gardy will pick a guy and go with him until deciding that he can't handle it; then Gardy'll try somebody else. Which somebody? My first choice would be Neshek, but that assumes he's fully recovered from his own bout of ligament replacement surgery. Tommy John surgery bad, although the Twins say he's going to rest for two to three weeks first. The verdict is a "significant tear" in the ulnar collateral ligament. I have a difficult time imagining that he's going to pitch this year, but the man's 35, and his clock's ticking. It sounds like he wants to try to pitch with it. Ron Gardenhire said earlier that he wasn't going to worry about replacing Nathan until he had to. Now, he's got that to worry about. The great Dome Dog Controversy of 2010 is probably over. Hormel won't be supplying the hot dogs at the new stadium, but Schweigerts will, and the tube steaks will still be Made in Minnesota. Albert Lea rather than Austin. Brats are, in my experience, a Midwest ballpark thing. St. Louis, Chicago, Milwaukee, Cincinnati — Kansas City, too, although in K.C. one really ought to find one of the Gates barbecue stands. But Detroit, no. They have Polish sausages and Italian sausages, but no brats. Yankee Stadium had pastrami sandwiches, no brats. Fenway Park — they block off Yawkey Way before the games, and the street is filled with vendors grilling what look like 15-inch Italian sausages, but no brats. Hammond Stadium in Fort Myers has brats during spring training, but apparently not during the regular season. The year I went there (2008), I was in line at a concession stand behind a woman wearing a Red Sox hat. "What's bratwurst?" she asked the gal behind the counter, pronouncing it like it's made of misbehaving kids. "I dunno," was the response, "something from Minnesota." I haven't read much about the brat situation in the new park. I hope they're grilled. The Metrodome's brats weren't up to the standards of the Chicago parks, and that's a travesty. We have enough Germans around here. We can do better. The Rule 5 draftee is now 1-for-10 this spring, and his name is not part of the buzz about the Yankees' open outfield jobs. They know they have Curtis Granderson in center and Nick Swisher in right. They still have Brett Gardner, a speedy left-handed hitter who was their fourth outfielder last season. And major league veterans Randy Winn and Marcus Thames are in camp. Somebody's going to play left field, somebody's going to be the fourth outfielder. The Yankees may even keep a fifth outfielder. But there doesn't seem, at least for public consumption, much credence given to the notion that one of them will be Hoffmann. 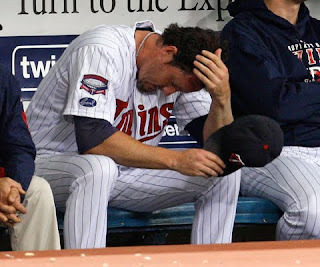 So ... Joe Nathan is headed back to Minnesota for an MRI on his sore, stiff elbow. The spin on Saturday was that this is a to-be-expected hiccup after his offseason surgery to remove bone chips. The spin today is, well, he isn't going to throw for a couple of days at any rate, and let's get some pictures to make sure it is what we think it is. I'm no medico, and I have no reason other than paranoia to doubt the public line. As I noted on Saturday, Nathan has a history of early-spring issues that don't amount to much in the long run. Let us hope that pattern continues. Nick Blackburn has a new four-year contract that buys out his arbitration seasons and gives the Twins what appears to be a reasonable option for his first season of free-agent eligibility. "Appears" is the key word on that phrase. I think the Twins thought they were getting a good deal on the Joe Mays contract too. Low strikeout-rate pitchers are bad bets. Blackburn has been durable in his first two seasons in the rotation, however. On the question of which offseason acquisition will most help the Twins, we had 37 votes. Twenty (54 percent) picked shortstop J.J. Hardy; 13 (35 percent) selected second baseman Orlando Hudson; four (10 percent) went for designated hitter Jim Thome; and zero (0 percent) middle reliever Clay Condrey. As long as I'm being semi-interactive ... my basic principle here (and in the print column) is that I write about the topics I want to write about, and bypass the rest. It's my time and my life, and I'm not getting paid so much for this that I'm going to spend that time writing stuff I'm not interested in. Still, if nobody reads or is interested, what's the point? So ... if you have a specific topic you'd like to see me address at some point, either in the blog or in the print column, tell me about it in the comments. Joe Nathan left today's exhibition game with Boston after three batters and 20 pitches with stiffness in his right elbow. The closer had bone chips removed from that elbow soon after last season ended, and he's had problems early in spring training in the past. You may remember that he dropped out of the World Baseball Classic last spring citing arm issues. He's to be re-evaluated Sunday. If the Twins are fortunate, this will be just another slow start to his spring — and if they aren't, their apparent surplus of right-handed relievers will be tested. Replace the cat in the cartoon with a beagle (and ditch the pipe) and this could be me, right down to the name. * Prospect guru John Sickels had an intriguing interview with Howard Norsetter, the Twins international scouting coordinator. The Twins commit more resources to finding players in non-traditional corners of the world than anybody else — heck, maybe more than the rest of baseball combined — Holland, Germany, Australia, the Czech Republic, Russia ... Norsetter is the man behind that. Incidentally, Sickels' annual self-published prospect book is out and as good as ever. * The Japanese writer who kept Joe Mauer from a unanimous MVP explained his vote for Miguel Cabrera to the New York Times. I wrote here at the time that I could see somebody picking somebody other than Mauer because Mauer missed a month of the season. But in that case, I thought it had to be Jeter. I still think that. The Red Sox beat the Twins Thursday evening in Fort Myers, but the result isn't important. Pat Neshek (above) sailed through his one inning of work. Both righties are coming off injuries, and Slowey's language in discussing his wrist earlier this week had some fearing that the two screws inserted in the joint might damage his greatest skill. It was just one outing, but those fears can be set aside — at least until he has a rough outing. 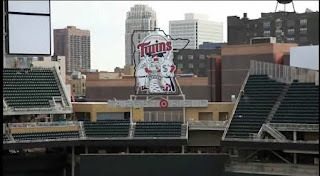 Twin Cities Business's story on the construction of Target Field details why it was "the most difficult urban ballpark site" in the long sports arena experience of the architecture firm. The park sits on 8.5 acres of land — but seen from overhead, it mushrooms to 10.5 acres, because it is literally suspended over railroad tracks and a freeway. The structure was built from the inside out, because the cranes couldn't go outside. Work had to be halted when Burlington Northern's freight trains went past — seven to 14 times a day. Ah, spring training and optimism. You can't have one without the other. Which doesn't mean the optimism is always unjustifiable. It does mean we are wise to think about it a bit before buying into it. Down the road in Fort Myers, Fla., at Twins camp, (B.J.) Upton's former teammate and fellow victim of unlimited expectations, Delmon Young, is another changed face. This winter, Young worked hard on conditioning, as well as lifestyle. He's dropped more than 35 pounds, his face looks like that of a teenager, and he looks like a new player. "I feel as if I'm a new player," said Young, who is recognized as highly intelligent by his teammates. "I think I'm finally where I thought I should be five years ago." OK. Five years ago Young was 19 and winning the MVP award in the Double-A Southern League off a half season of play, which got him named Baseball America's minor league player of the year. He has never really lived up to that promise, but the promise remains. I don't know if the weight loss is going to make him a better defensive outfielder, but it might. He had a strong second half last season — he hit .300 with a .502 slugging percentage after the All-Star break. And he's only 24. Time is still on his side. Parmelee is a slow power hitter, splits his time between first base and an outfield corner, and hasn't cracked Double-A yet. He's not a candidate to play center field. Dinkleman played in Double A last season, but his limited outfield experience has been in a corner as well. (He appears to hit well enough to be a possible 2B down the road; that the Twins are testing him as an outfielder suggests that they're not thrilled with his defense. That he was left off the 40 this winter and wasn't taken by another organization suggests the same.) Not a candidate. Portes has bounced from position to position — second base, third base, all three outfield spots — and it's unclear from this distance how adept he is at any of them. As a hitter, he profiles as a reserve outfielder — a singles and doubles hitter, good average but not a lot of power — but whether he's a guy they want to play much in center, I doubt the Twins know. That's probably why he got an invite, so the coaching staff can form a judgment on his suitability. He's got a chance to be an injury callup this year. Revere gets more pub than the rest of this crew put together, partly because he was a surprise pick in 2007, partly because he threatened to hit .400 in low A ball in 2008 (he ended a .379). He's a shrimp (listed at 5-8, 166) and the consensus is that he's never going to hit for power. He had just 19 extra-base hits last season in high A ball, and while the Fort Myers park saps power, that's not much. Were this a year from now, I'd figure him to be the front-runner for the reserve job. But he hasn't seen Double-A yet, and he's not making the big-league roster this spring — or probably at all this year. Tosoni looks like a bit of a tweener — maybe not enough power to be a regular in an outfield corner, maybe not fast enough to be a full-time center fielder — certainly not in a system with Denard Span, Revere, Joe Benson and Aaron Hicks. Sounds like a fourth outfielder type to me. Played all season at Double-A, with more playing time than Portes. Turns 24 in July. He's from Canada, and last year was his first season playing anything resembling a full schedule. If they go with a fourth outfielder from the players now in camp, I rank the likelihood Jones, Tosoni, and nobody. Everybody on that list got something to prove, and spring training may not prove anything. Somewhere around the mid-'80s I decided that the best job in baseball was that of backup catcher. They last forever, and the expectations are low. Of course, it's not that easy to get the job. I haven't attempted to prove this statistically, but it's my notion that the Twins organization generates a lot of career backup catchers. One such is Chad Moeller, now with the Baltimore Orioles. (Moeller's the tall guy in the photo; the other is Dave Trembley, the Baltimore manager.) Moeller started his career in the Twins system, caught briefly for them in the majors (48 games in 2000), and is now with the Baltimore Orioles, his seventh major league team. Here, from the New York Times, is Moeller on some of the various pitchers he's handled over the years. I'm struck by the difference between Brad Radke and Curt Schilling. Radke was about keeping it simple, Schilling anything but.